Peppermint Oil Overdose is the accidental or intentional intake of the compound in dosage higher than the recommended values. What is Peppermint Oil Overdose? What are the Causes of Peppermint Oil Overdose? What are the Signs and Symptoms of Peppermint Oil Overdose? The signs and symptoms of Peppermint Oil Overdose can vary from one individual to another. It may be mild in some and severe in others. Several systems of the body, such as the digestive system, nervous system, vascular system, urinary system, skin and ENT may be affected. How is First Aid administered for Peppermint Oil Overdose? Who should administer First Aid for Peppermint Oil Overdose? 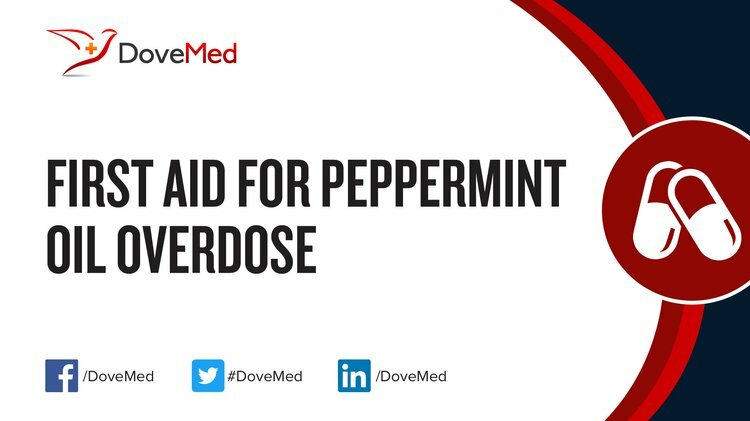 First aid for Peppermint Oil Overdose is administered by healthcare professionals. What is the Prognosis of Peppermint Oil Overdose? How can Peppermint Oil Overdose be Prevented? Nath, S. S., Pandey, C., & Roy, D. (2012). A near fatal case of high dose peppermint oil ingestion-Lessons learnt. Indian journal of anaesthesia, 56(6), 582. Abdel-Wareth, A. A. A., & Lohakare, J. D. (2014). Effect of dietary supplementation of peppermint on performance, egg quality, and serum metabolic profile of Hy-Line Brown hens during the late laying period. Animal Feed Science and Technology, 197, 114-120. Singh, R. R., Kumar, A., Uraiya, D., & Dhaon, P. (2016). Retrospective analysis of poisoning cases admitted in a tertiary care hospital in North Eastern UP, India. International Journal of Medical Research and Review, 4(07). Moeinipour, A., Teshnizi, A., Manafi, B., Yavari, H., & Hoseinikhah, H. (2016). Possible interaction of warfarin with peppermint herbal tea: A case report and review of literature. Reviews in Clinical Medicine. Tisserand, R. Proof of Safety.